EXHIBITIONISM tickets offer the most comprehensive and immersive insight into The Rolling Stones' fascinating fifty year history. The Rolling Stones EXHIBITIONISM tickets offer the most comprehensive and immersive insight into The Rolling Stones' fascinating fifty year history. Over 500 Original Stones' Artefacts The first international exhibition on The Rolling Stones, EXHIBITIONISM will be taking over the entire two floors of the Saatchi Gallery with 9 thematic galleries and over 500 original Stones' artefacts combined with striking cinematic and interactive technologies offering the most comprehensive and immersive insight into the band's fascinating fifty year history. Buy The Rolling Stones EXHIBITIONISM Tickets From never before seen dressing room and backstage paraphernalia to rare instruments; original stage designs, iconic costumes, rare audio tracks and video footage; personal diaries; poster and album cover artwork; and unique wraparound cinematic experiences that celebrate every aspect of their Careers. Centre stage is the musical heritage that took them from a London blues band in the early 1960s to inspirational cultural icons. Shaping Popular Culture The Rolling Stones have shaped popular culture, often in their own image, and this exhibition will offer a unique perspective that only the band's own archive can provide. 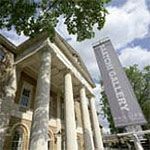 Collaborations and work by a vast array of artists, designers, musicians and writers will be included – from Andy Warhol, Shepard Fairey, Alexander McQueen and Ossie Clark to Tom Stoppard and Martin Scorsese. Fans of The Rolling Stones will not want to miss out on this very special event, grab your The Rolling Stones EXHIBITIONISM tickets here now! 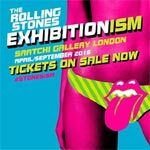 The Rolling Stones EXHIBITIONISM tickets are now available for the exhibition taking place at Saatchi Gallery from Tuesday 5th April to Sunday 4th September 2016. Fore more information and to purchase tickets please click the Buy Tickets button.